Preliminary ProceduresRemove the right front tire and wheel. Refer toTire and Wheel Removal and Installation.Raise and support the vehicle. 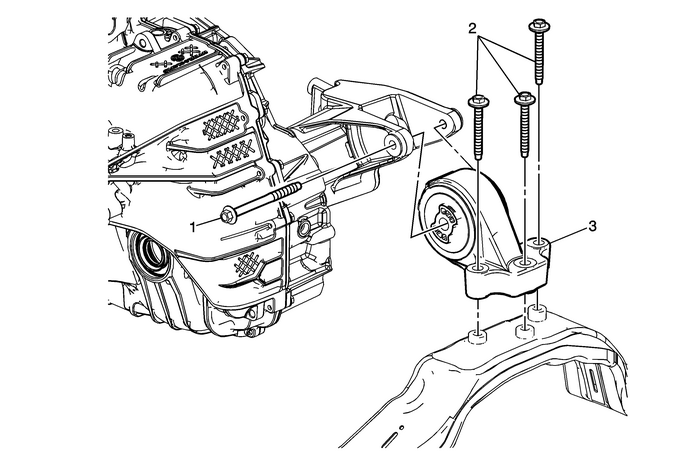 Refer toLifting and Jacking the Vehicle.Support the transmission with a transmission jack.